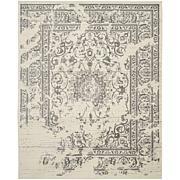 Tired of your rugs slipping out from underneath you? 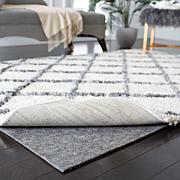 Keep those rugs in place with this non-slip rug pad. 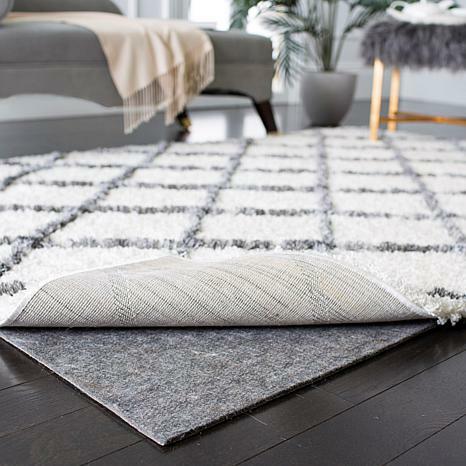 Made of polypropylene and synthetic rubber, the pad has a 1/4" pile, adding a cushier feel to most rugs while helping prevent scuffs and scratches to the floor. Works great, purchased 2. Does not move on my hardwood floors. Feels great to walk on now. I bought 2 to go with the 2 runners I bought. They work very well. 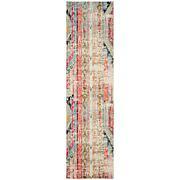 This runner was the finishing touch to our foyer. It is beautiful, very plush & the color scheme matches everything in the family room that you walk into from the foyer. Thank you for such a high quality item to purchase. We also purchased the non-slip runner pad to place underneath the runner so it wouldn't slip. These were just what I wanted. Ordered two, one for a round and another for a rectangular rug. 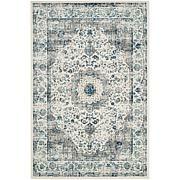 Even though my rugs are large, they would still slide around quite a bit. Not only was this annoying, but unsafe. My problem has been solved with these pads. No more slipping and sliding and they are nice and thick with excellent gripping to the floor. Do not hesitate to order. This pad is truly non-slip as it says and creates the feel of soft cushioning under your feet when walking on the rug's surface. It is easy to vacuum and stays in place while doing so. Worked perfect for our new rug.